Chip McClure's Aviation Blog - Insider information to the world of private aviation. It’s getting close… that dreaded deadline to comply with ADS-B Out or be grounded! January 1, 2020 will effectively turn non-compliant aircraft into pumpkins… or will it? The FAA ruled today that there may be some leeway in regards to operating past the deadline without ADS-B Out installed. The approvals will be on a case by case basis and limited to operators that have the install scheduled but have not completed it. This sounds more stringent than what was allowed years ago when RVSM was instituted , so we’ll have to wait and see what the reality looks like. I certainly would not recommend that anyone wait to have their install done, the reality is that it must be done and there’s no benefit to waiting. The reality is that the cost of doing these installs will likely go up during crunch time, not down. The King Air market overall is very strong, we are seeing very low inventory levels and a brisk sales volume that has been consistent for the last two years. Looking at Q4 2018 we see 186 King Air transactions compared to 181 during Q4 of 2017. The King Air 90 market is fairly segmented with older aircraft languishing on the market and newer or well-equipped aircraft selling very quickly. The sweet spot is currently the C90B with Blackhawk engines and an upgraded panel. If priced right, those aircraft sell as soon as they hit the market and in many cases before they hit the market. The King Air 200 market has a widening gap between straight 200’s and B200’s as the 70’s vintage aircraft continue to be perceived by most buyers as old. Well-equipped 200’s and those that are priced below market are selling, but anything that has known negatives tends to sit on the market. The B200 market is strong, and can be viewed through definite levels, the early B200’s that are nice and priced in the very low $1M’s sell very quickly. The post 1985 (hydraulic gear) airplanes are selling well. The late 90’s airplanes, which is typically 1997 - 1999 are in high demand and tend to fall in the price point with the most active buyers which is around $1.5M, again assuming they are nice and priced correctly. The market for post 2000 B200’s is very active as well, with pristine aircraft selling very quickly. The post 2004 B200 (Proline 21) and the B200GT market is very tight and sales / demand see somewhat volatile. 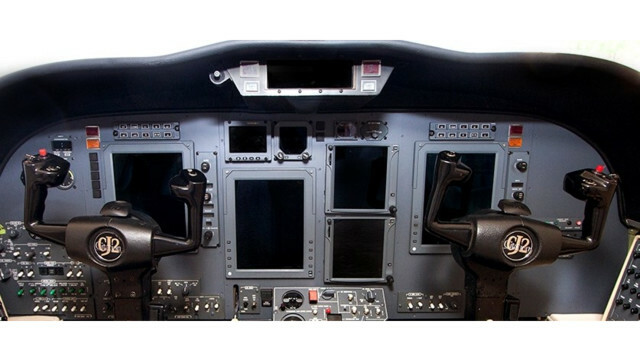 The realities of upgrading the Collins avionics seem to put downward pressure on this market. The cost of the Collins Modernization Package averages around $200,000.00 and that is enough to give any King Air buyer pause. The King Air 200 / B200 / B200GT / 250 market is clearly defined between nice airplanes with engine time remaining and airplanes that need engines, avionics or cosmetics. The nice airplanes sell very quickly and the weak airplanes hang around on the market, litter up the advertising sites and create the impression that aircraft aren’t selling. I tell all of our clients to ignore most of what is on Controller because those airplanes are either already sold or not likely to sell. Many of these aircraft have been advertised for more than a year! An interesting footnote specific to the King Air B200 market is that we continue to see a wide variance in actual sales prices, with some aircraft selling above market and some selling well below, I believe this is attributed to the shear number of aircraft and confusion about values. The King Air 300 market has changed drastically in the last 18 months, in 2017 there were many great King Air 300’s to choose from, today there are very few available! The King Air 350 / 350i market has changed quite a bit as well, in 2017 two entities, the Turkish Government and US Government Contractor Leidos each purchased 7 aircraft in a short period of time, most of them 2003 and newer. The reality of 14 airplanes being pulled out of the market combined with an increase in demand for run-out airplanes to be converted with Blackhawk -67A’s caused the King Air 350 market in 2018 to get tighter than I have ever seen it! It’s a little better now, but a nice low time, post serial number 500 (Keith Freon) King Air 350 is very hard to come by! At the time of this writing there were only six US Based King Air 350'i’s for sale. That market remains very tight, the oldest listing is just 120 days. The most interesting component of the King Air market may be the sales prices, while some markets have firmed up, we simply have not seen a huge increase in actual sales prices. One can argue that maintaining the same value is actually a price increase because each year the aircraft gets older and should be worth less because of its age. All of the above is subject to deeper research, the reality is that the King Air market is wildly complex. The variables effecting value and resale desirability are incredible. The King Air line has more available modifications and options than any other business class aircraft. Each option and modification effects the value and desirability of that individual aircraft. Add to that over 50 years of continuous production and the challenge of understanding the King Air market as a whole becomes a daunting one! If you are in the market to buy a King Air and are concerned about values, I would say you have a greenlight. I don’t see anything changing dramatically anytime soon. My second bit of advice is to hire an acquisition professional to find an airplane for you, as I mentioned above, many of the aircraft that are sold are never advertised. One thing is for certain, aircraft markets and values rise and fall, but no other aircraft weathers the storms of a world economy better than the same vintage King Air! Is the turbine market getting softer? The aircraft market, or when we talk about specific aircraft models a better term might be “micro market” is fascinating to watch. It is a combination of real data points such as how many aircraft are available or what the last one sold for... but it’s also driven by a host of external factors that include the stock market, the consumer confidence index, the direction the wind is blowing and a whole lot of community specific rumors! I think that sellers perceive a lack of buyers when that usually isn’t the case, there are always buyers, and airplanes are selling every month. I’ll hear “this market has cooled off and then I’ll check and see that X airplanes have sold in the last 60 days. Plus, when you look at the data provided by most companies it is “closed airplanes” not “sold airplanes” I am much more interested in what went under contract and at what price than I am what closed 45 days later! These markets change drastically and quickly... info that is 45 days old is dead to me. In most cases it isn’t a lack of buyers but that “your” potential buyer just bought someone else’s airplane. Sorry, I digress! Back to the question, the turbine market does seem to have cooled a little bit, a lot of airplanes have sold this year and anyone who intended to close by year end probably has an airplane under contract. Again, I say “seems” because it is largely a perception, the (micro) markets we are currently working are still hot, and there are other buyers out there. Thankfully we are seeing higher numbers of good options in some models. The late model B200 market is a good example, earlier this year it was tight... nothing to buy. I would have described the B200 market as “picked over” but here we are six months later and we have another B200 client, the market is different and we are finding several options in our price range. In one case we made an offer, the seller countered too high, so we moved on. There’s options, largely because so many people either have or will be replacing their B200 with something else. Clutter... lots of clutter. The late model B200 market is a good example, there are several airplanes that are nice, but priced $200 - $300k over market! There’s a nice airplane with two incidents of major damage history that seems to be priced cheap... those airplanes sit on the market completely skewing any market data that isn’t based on actual research. My summary is the overall market that has been so hot, has cooled a little bit. It’s winter, it’s the holidays, it’s the price of oil... or widgets... who knows. BUT... that is a general statement, we are working with a couple of very tight... red hot markets right now and just as a seller can’t afford to miss a buyer... as buyers we can’t afford to miss the right airplane. To know it’s right and what to pay, we have to know that micro market very well and be prepared to strike when the opportunity presents itself. So you asked what I do? What is an Aircraft Broker? Thinking about buying a Jet? You called my airplane a what? How do I go about buying a jet?